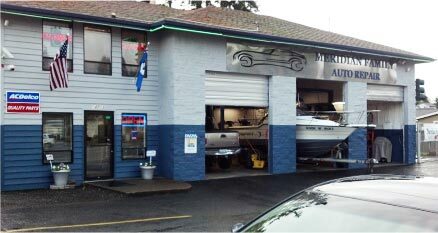 Meridian Family Auto is a locally owned and operated automotive repair shop in Puyallup, WA. We offer complete auto repair on all makes and models including American, European, and Asian cars, trucks and SUVs. We service both gas and diesel engine trucks and work on everything from lawn mowers to Land Rovers. From oil changes to engine overhauls, whatever your automotive repair or service needs, Meridian Family Auto delivers. Meridian also provides excellent fleet service and repairs in Puyallup. Our skilled auto repair technicians understand that your vehicles are the life blood of your business, and we are dedicated to servicing your fleet repair and maintenance needs! Our goal is to keep your vehicle safe and reliable by providing comprehensive maintenance, service and repairs in South Hill. And don't forget to ask about our 18 month/18,000 mile warranty. Meridian Family Auto Repair hires trained technicians and automotive mechanics in the Puyallup, WA area who stay up-to-date on technology in the automotive industry through ongoing schooling and training. Our experienced South Hill mechanics know their stuff and take pride in their clean, efficient shop which gets your car, truck or SUV in and out as quickly as possible—and you back on the road. Read more about our Staff and Mechanics. 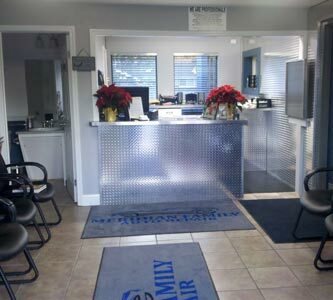 Meridian Family Auto is conveniently located in Puyallup, WA and we provide auto repair and service in: Tacoma, South Hill, Summit, Puyallup, Bonney Lake, Prarie Ridge, Orting, Graham, Fredrickson, Spanaway, Sunrise Village and surrounding communities.